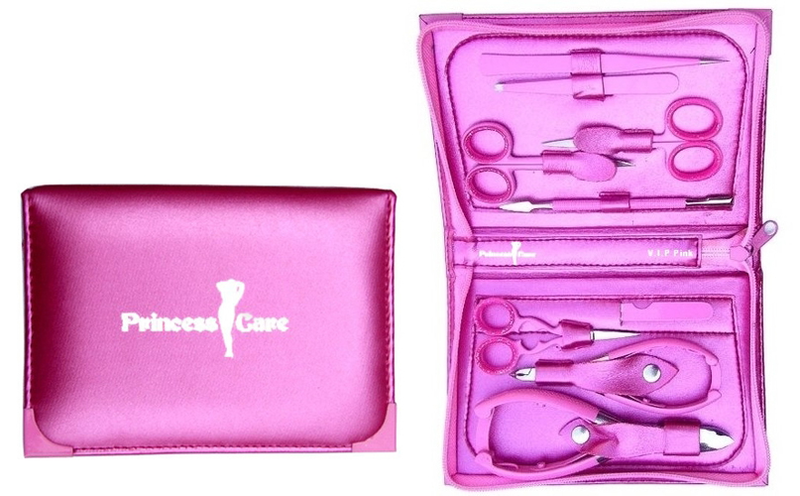 This is a princess care VIP P 9pc manicure set made from high tempered surgical precision 420C stainless steel with pink enameled powder coating. 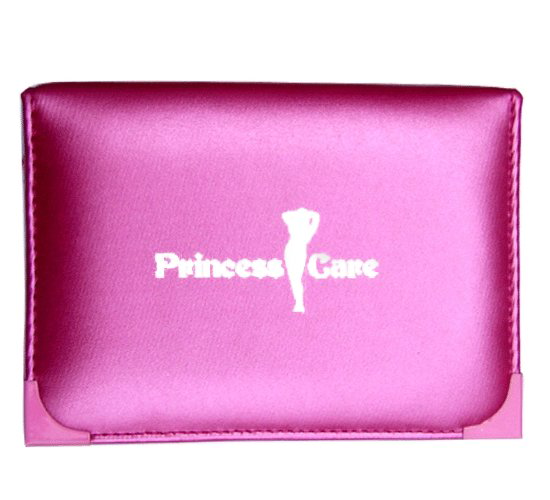 Comes in premium pink leather zipper case. 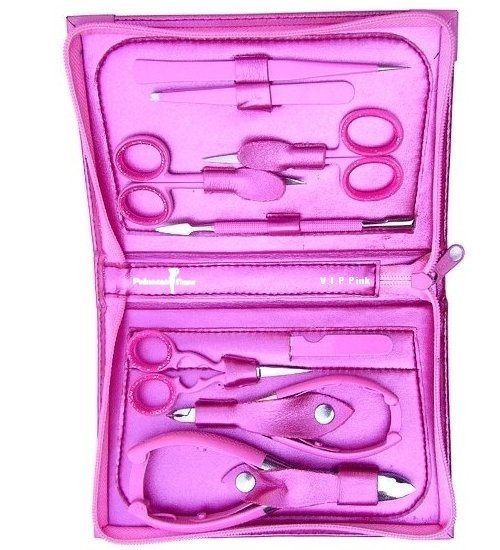 Includes cuticle scissors, nail scissors, beauty scissors, slant plucking tweezers, pointed tweezers, double ended pusher, nail file, cuticle nipper and toenail nipper. We use 420C Japanese Stainless Steel for these instruments (Japanese being one of the finest stainless steel in the world); Surgical grade (Not – Autoclavable) instruments. Highly Tempered, Drop Forged, Hand Crafted. Premium pink leather zipper case.